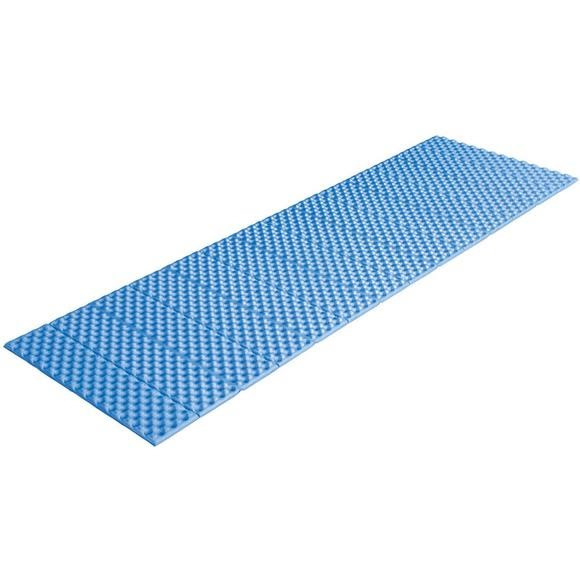 The Alps Mountaineering Foldable Foam Mat features a comfortable egg crate foam sleeping surface. Closed-cell foam construction protects and insulates your tired body after the amazing hike to your favorite spot. Accordion folding makes for a small packing size. Measurements 22" x 71" x 3/4"